​It’s a common experience for almost all dog owners. You are eating dinner and you notice your furry friend sitting over so politely with his eyes practically begging you to throw him a morsel. And sometimes we do. Somehow, giving them these little scraps of food when they seem to be asking for it seems like we are doing our duty. However, abrupt changes in diet can have serious repercussions, particularly if your dog isn’t used to getting these kinds of foods. And one of the most common potential diseases is pancreatitis. Dogs with pancreatitis is a common, painful condition that is normally characterized by vomiting, diarrhea, and fever and often results in the swelling and inflammation of the pancreas. However, there’s much more to it than a simple inflammation. And, because it is potentially life threatening and immensely painful, it needs to be addressed quickly by a professional veterinarian. Here, we are going to explore everything you need to know about dog pancreatitis. From telltale signs that you should be on the lookout for, to the risk factors and causes, as well as the journey to recovery including dog pancreatitis recovery time. The pancreas is a glandular organ that releases enzymes that aid in digestion. When working normally, the enzymes become active only when they reach the small intestine. When a dog has chronic pancreatitis, however, the enzymes prematurely activate right when they are released inflaming and causing damage to the pancreas, its surrounding tissue, and other organs. In fact, the enzymes can start digesting the pancreas in the process causing extreme pain to the dog. While the warning signs of this disease aren’t always visible, there are certain indicative signs that you can look out for. Most of the time, these symptoms will vary depending on whether the pancreatitis is acute or chronic. Acute pancreatitis is an attack that comes on suddenly and occurs without signs of the condition preexisting in the body. It often happens in the holidays when dogs are more likely to indulge in fatty and unhealthy foods as they share in the holiday frenzy. However, on certain occasions, it could be completely unrelated to food and instead be brought about by stressful situations. So, if there's a little more commotion than normal because of visitors or if the family members are leaving for a trip, then there's a pretty good chance that your dog could develop an attack. While it can become life-threatening by damaging other organs, especially if the inflammation spreads, it is not a permanent condition if properly treated, though it can be recurring. A chronic attack is one that develops over a long period of time. Could be months or even a couple of years down the line. However, it will hardly have any symptoms and can result in repeated bouts of acute attacks. As we mentioned earlier, pancreatitis is a little harder to diagnose because, on most occasions, it seems like nothing more than just a simple tummy upset. Therefore, there's no one test who can diagnose it easily. In most occasions, however, the tests include a complete blood count, urinalysis, and chemistry panel. However, the doctor can also perform an ultrasound to rule out other conditions and result in a canine pancreas-specific lipase test for more conclusive results. In addition, your dog’s medical history will be scrutinized during prognosis. This is particularly true if your dog has experienced a bout of pancreatitis at any one point,as he is more than likely to suffer another attack. When it comes to natural remedies, there's the short-term treatment and the long-term treatment. This sounds a little absurd, especially because dogs are naturally foodies. However, it is one of the most effective natural treatments for pancreatitis. How so? Pancreatitis is normally a swelling or inflammation of the pancreas and the last thing that you’d want to do is overwork it further. By fasting your dog, you are giving the pancreas a rest and avoiding stimulating even further inflammation. Once you’ve fasted your dog for say 24 to 48 hours, it’s time to go back to basics. Start by giving your little furry friend small portions of bland food like bone broth. The first thing that you obviously want to do is to reduce the inflammation. To do this, you can start by administering Aconite 200c and Arnica 200c once in an hour for three doses. This should then be accompanied by a single dose of Aconite 200c plus and Arnica 200c as needed. Once the symptoms have alleviated, you should administer the doses 3 times a day for a maximum of 3 days. For mild cases of pancreatitis, all that is needed is to fast your dog for 48 hours coupled with administering IV fluids to get your furry friend back in tip-top shape. 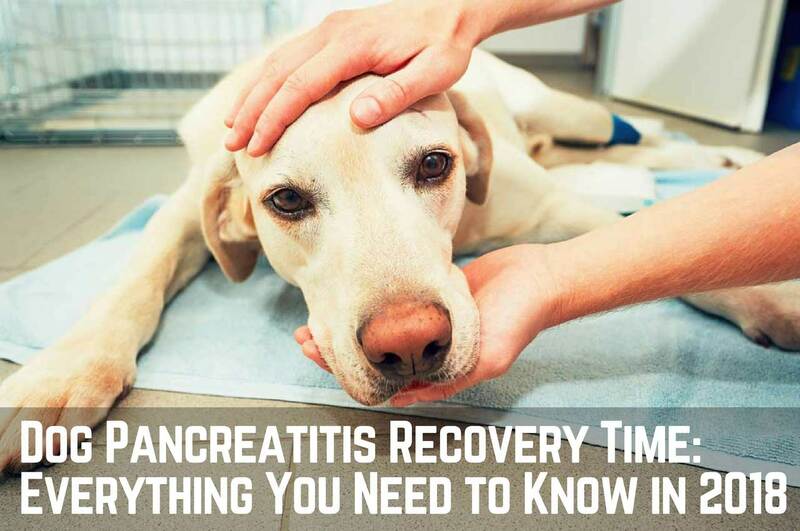 However, acute pancreatitis tends to be a little more severe with each attack and so might cause scarring around the tissues and weaken the dog’s immune system meaning that it will take a little longer for the dog to recover. For moderate to severe cases, things a little different and so your dog might not only need to be hospitalized but also given intensive treatment and be closely monitored to ensure that heis hydrated and in stable condition. Nothing tears own a dog owner than seeing their little furry friend beside themselves in pain and agony. And, while there is no doubt varying degrees of the disease—some a little more severe than others—one thing's for sure: your dog could do without all the agony and pain that pancreatitis brings with it. Unfortunately, once your dog has had about of pancreatitis, the chances of recurrence are relatively high. Your dog’s defense becomes compromised and just about any intruder could make their way right in as easily or at least easier than before. So, you need to keep an eye out on what you are feeding your dog and ensure that they are taking their medication as prescribed. You also need to ensure that your dog works out and remains active so that they don’t become obese. Let me reiterate that obesity triggers pancreatitis quite easily and pancreatitis is actually a little more severe in obese dogs than fit active dogs.